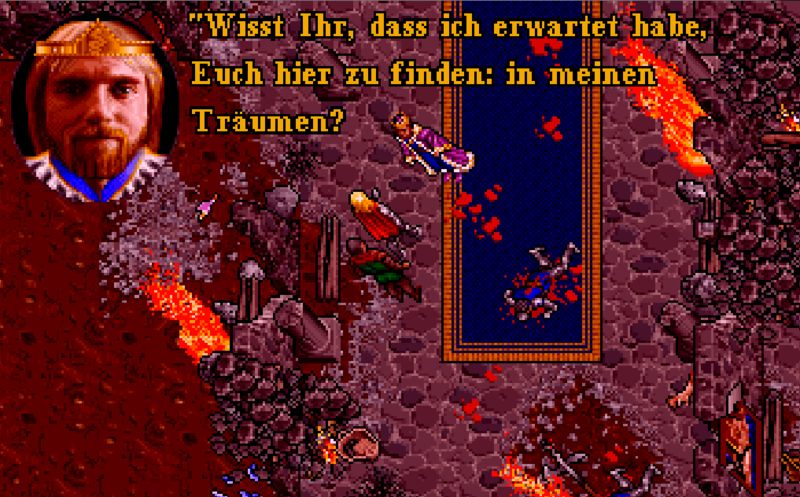 Good news: Milestone 2 of the Ultima 7 – Serpent Isle translation has been completed one month earlier than I expected. In the last few weeks I have been able free some time and take a few extra days off during which I have made good progress and have been able to translate a lot. As a small extra for the Christmas days to come Lord British also speaks German already. This entry was posted in Ultima 7 - Serpent Isle on 16.11.2018 by SirJohn.